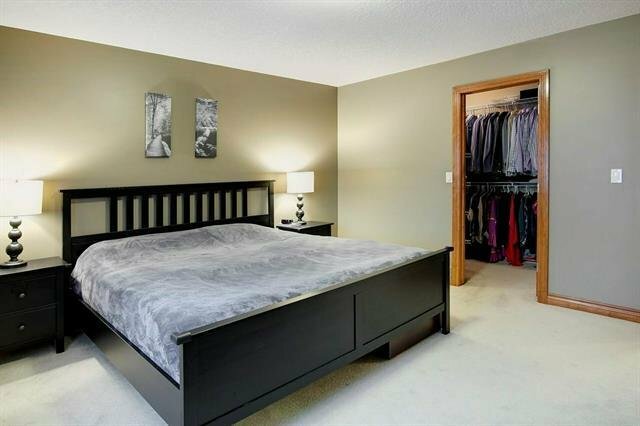 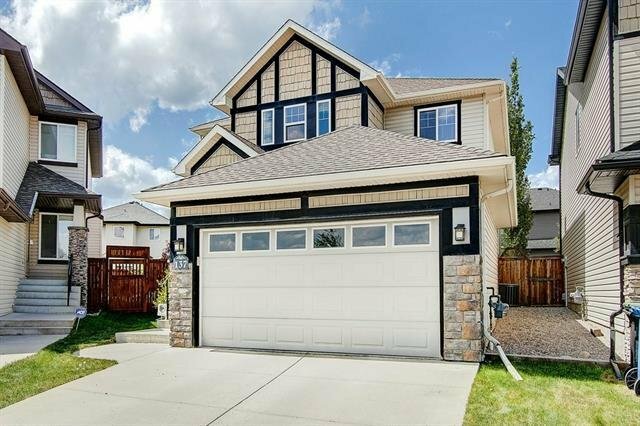 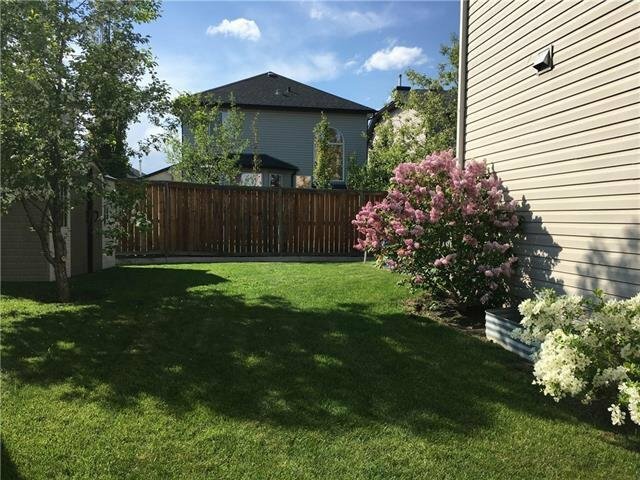 137 Royal Birch Mews NW, Calgary - 4 beds, 3 baths - For Sale Janet Preston/John (J.R.) Rogers - DISCOVER REAL ESTATE LTD.
Visit this fabulous family home in sought-after Royal Oak. 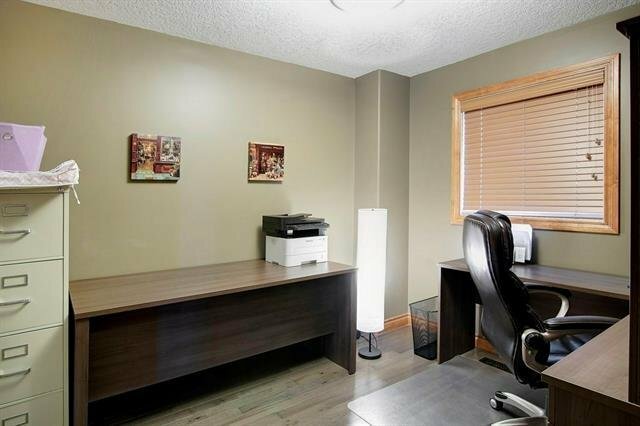 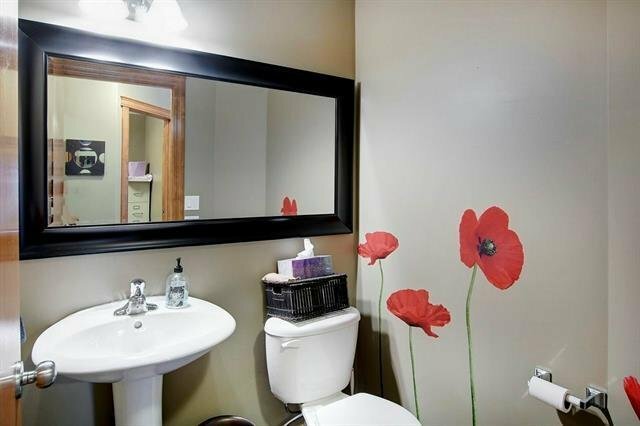 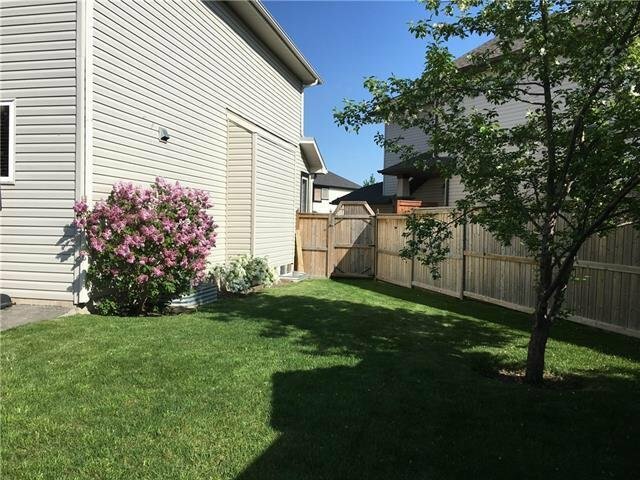 Located on a pie lot on a quiet cul-de-sac, across from a green space, close to shopping, schools, LRT station and new rec complex. 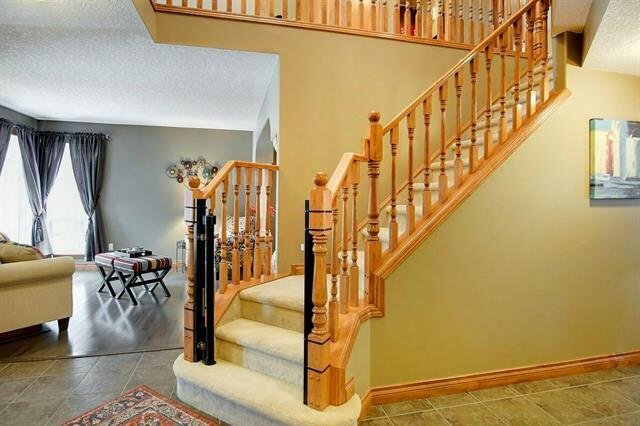 Enter the foyer and take in the large formal living and dining room, boasting beautiful maple floors, and grand south-facing windows flooding the space with light. 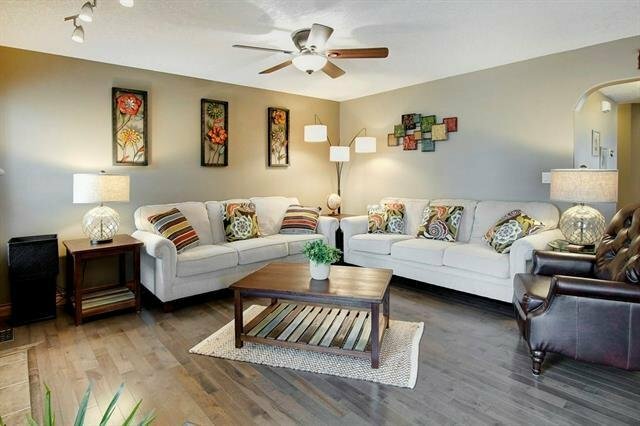 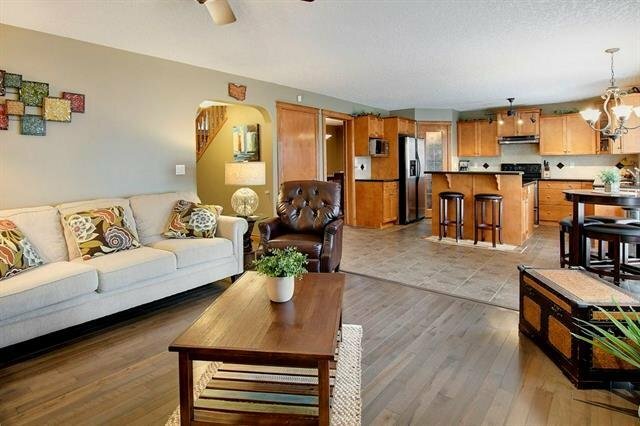 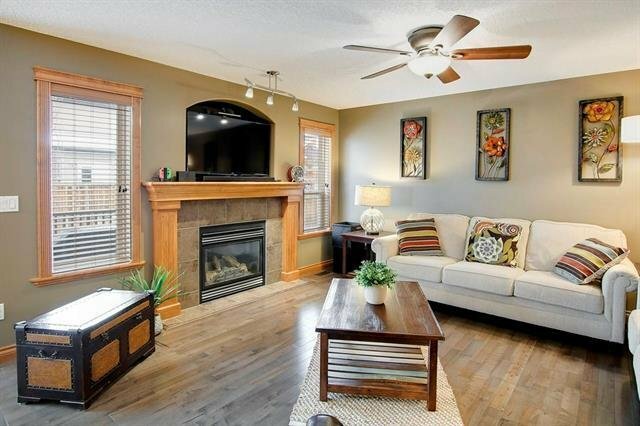 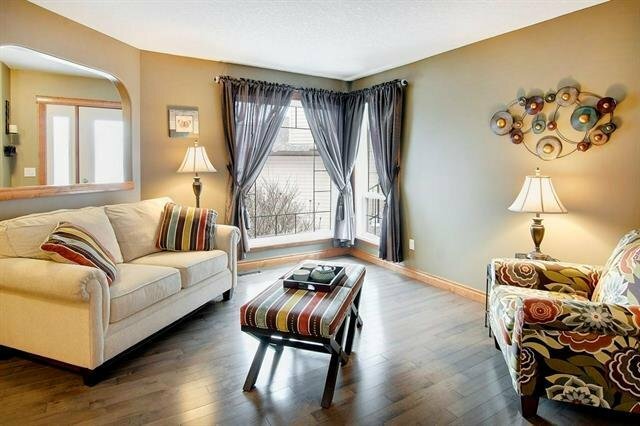 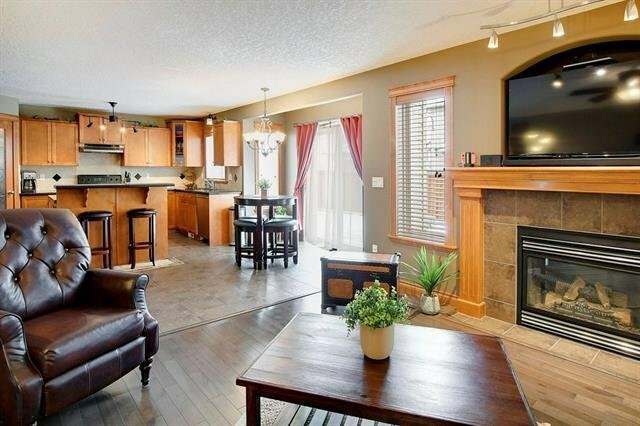 The warm and welcoming family room showcases a gas fireplace. 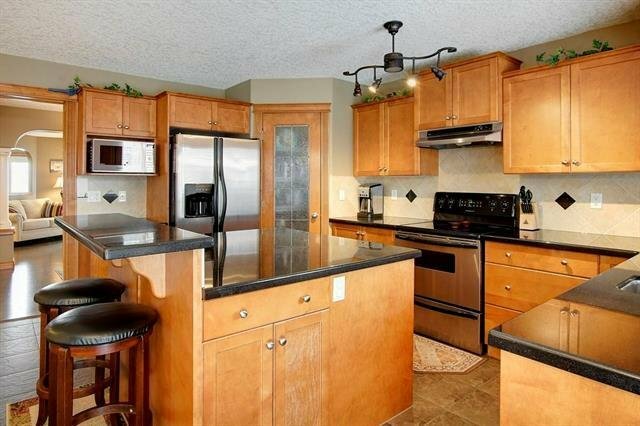 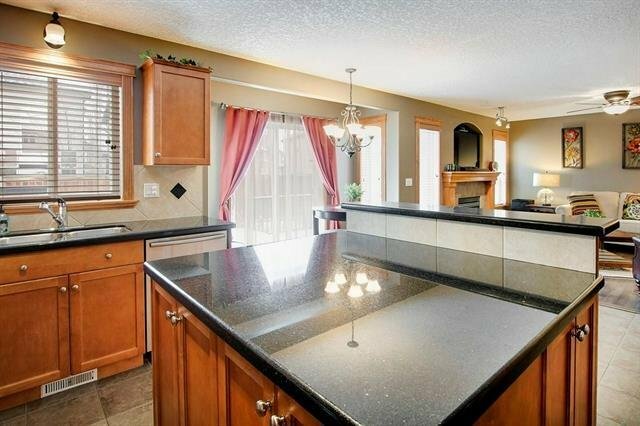 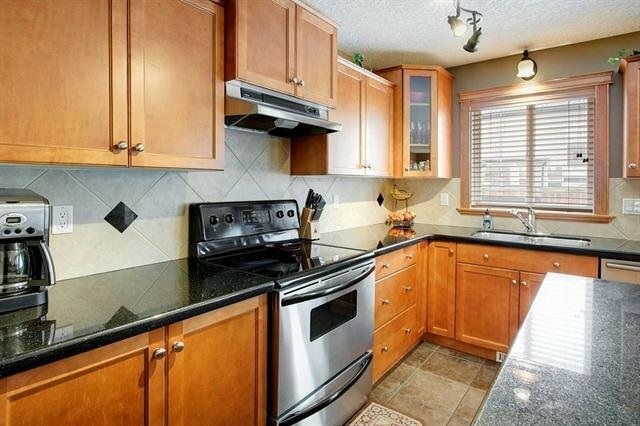 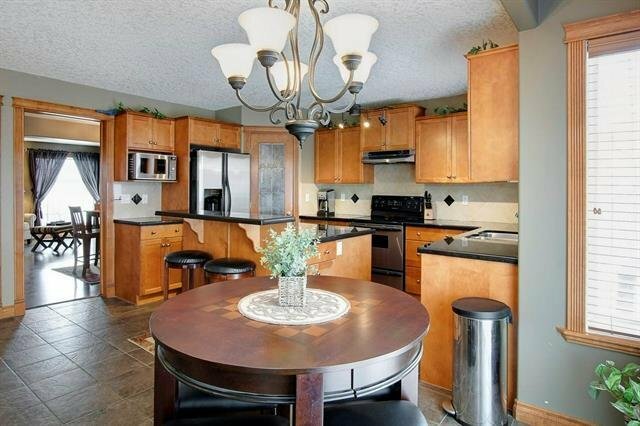 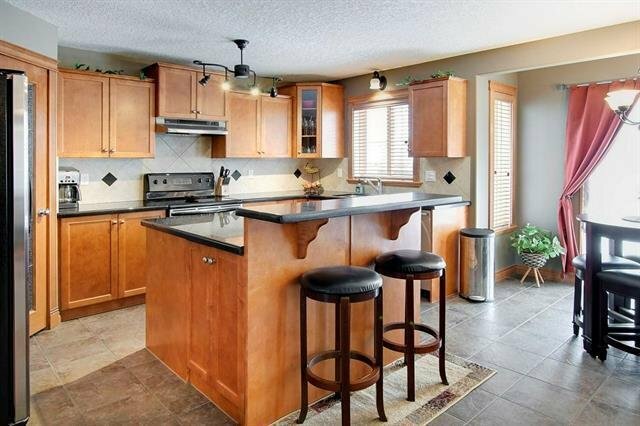 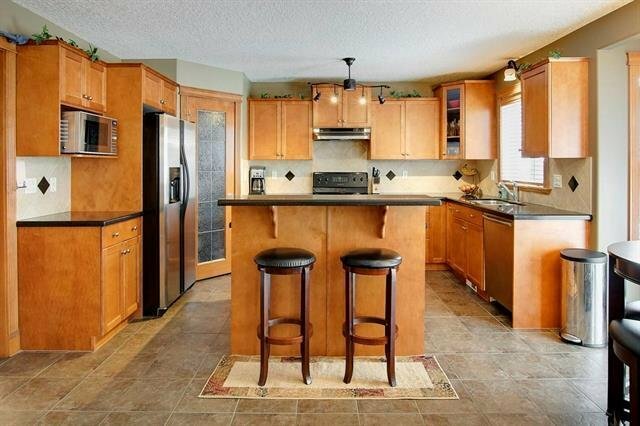 The open concept kitchen features 1-1/4 inch granite, solid wood cabinets and stainless steel appliances. 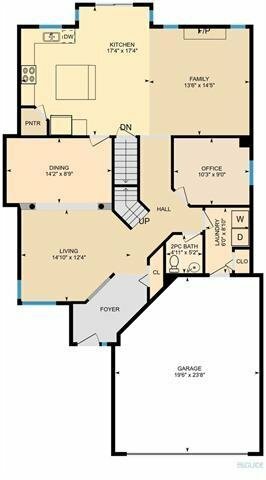 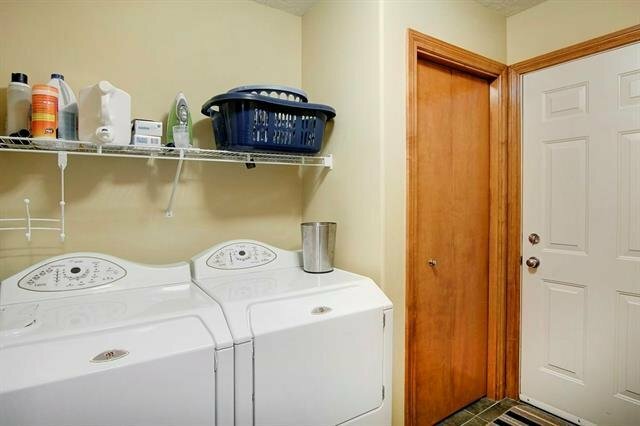 The main floor is completed with breakfast nook, den, powder room, and mudroom with laundry. 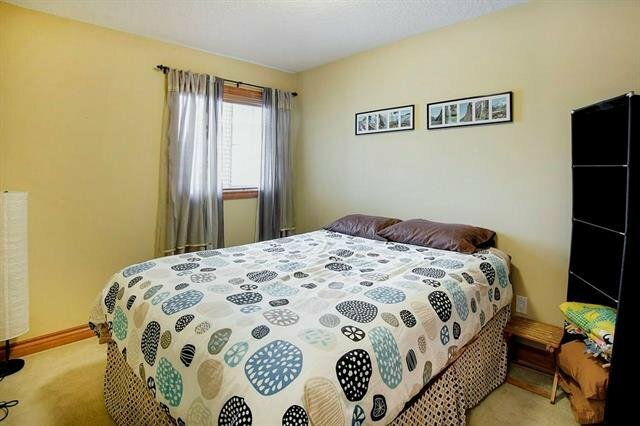 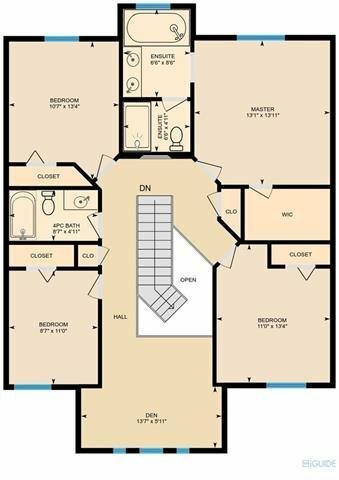 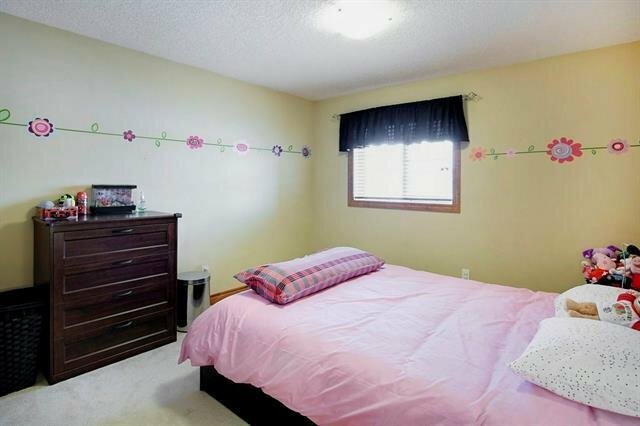 Upstairs there are FOUR generously-sized bedrooms, full bath, and bright bonus room. 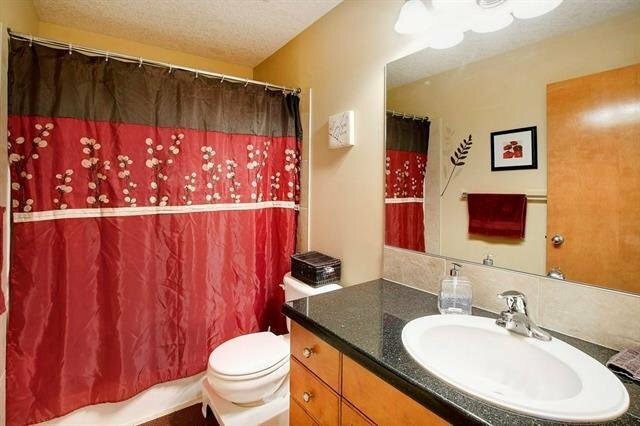 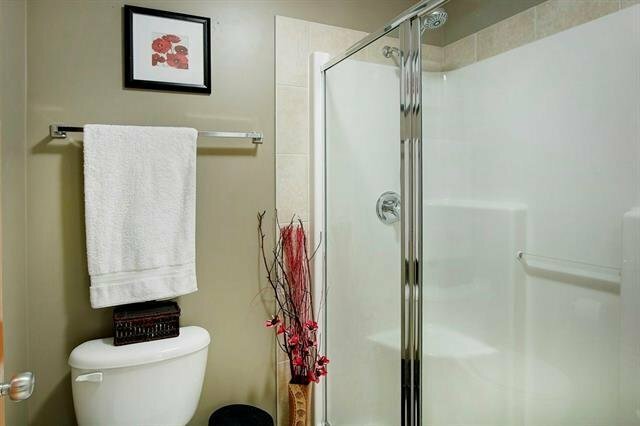 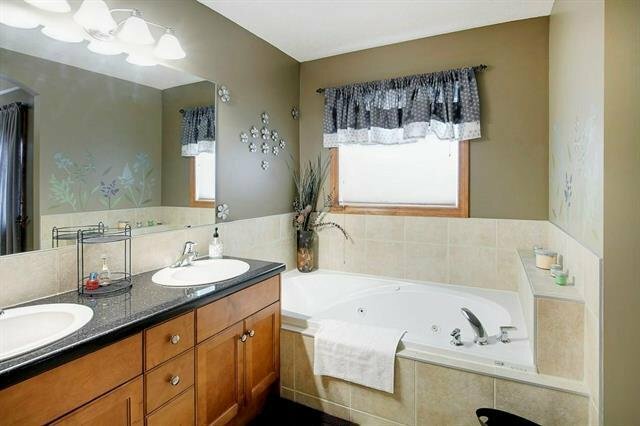 The master ensuite features a jetted tub, separate walk-in shower, and dual granite vanity. 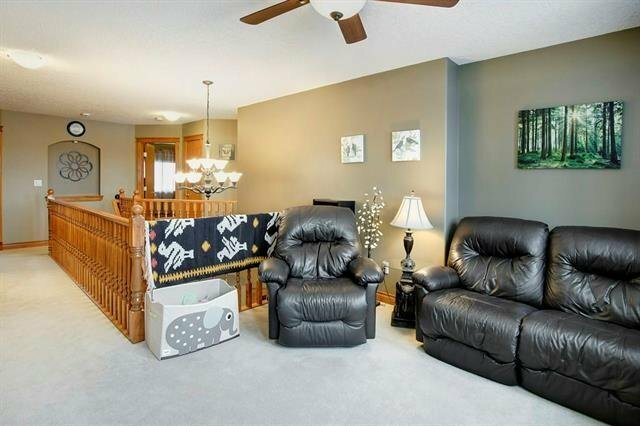 This home has central air conditioning, central vac and security system. 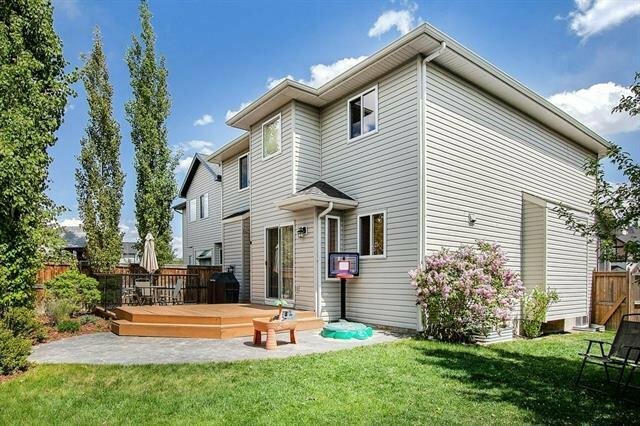 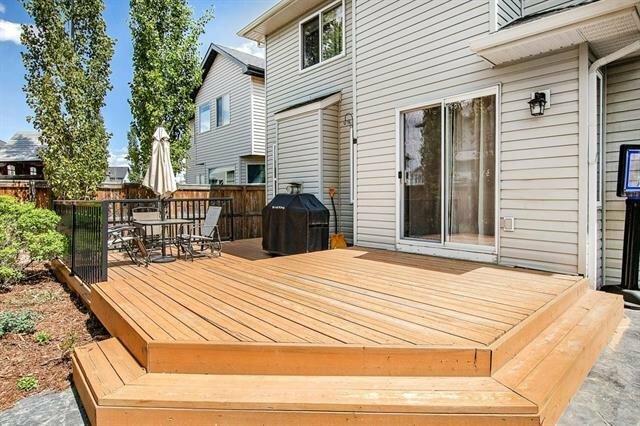 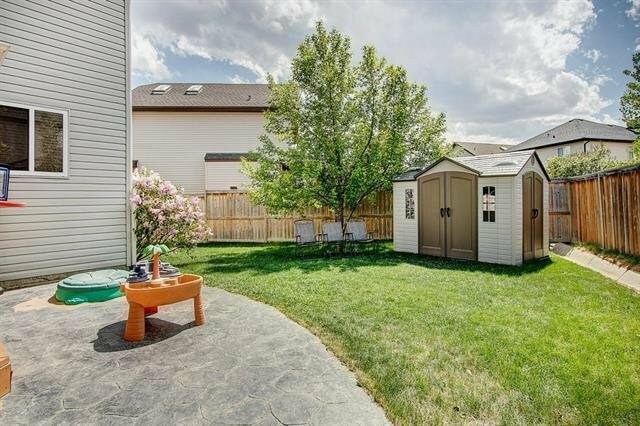 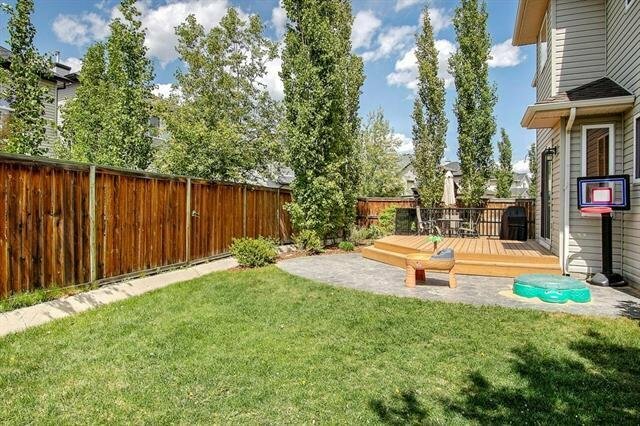 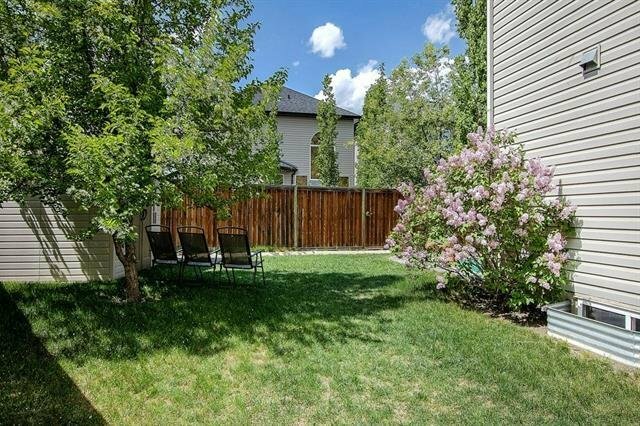 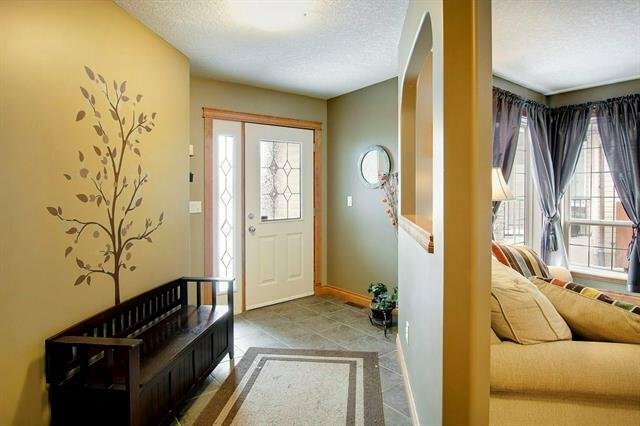 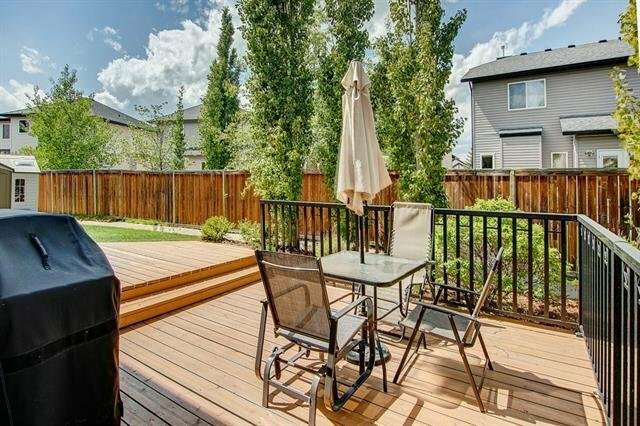 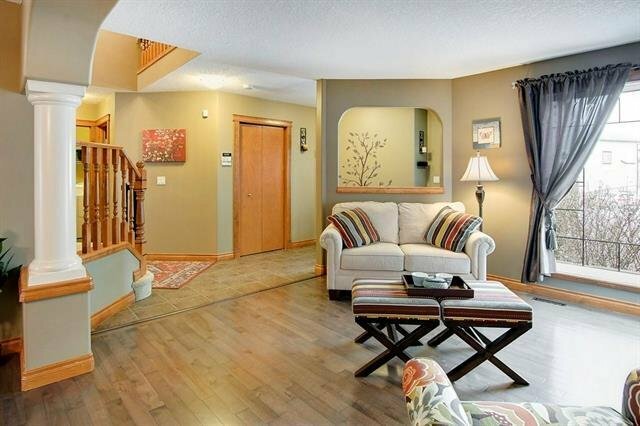 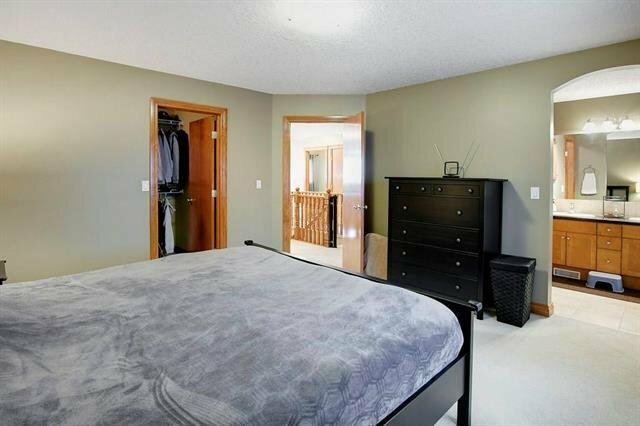 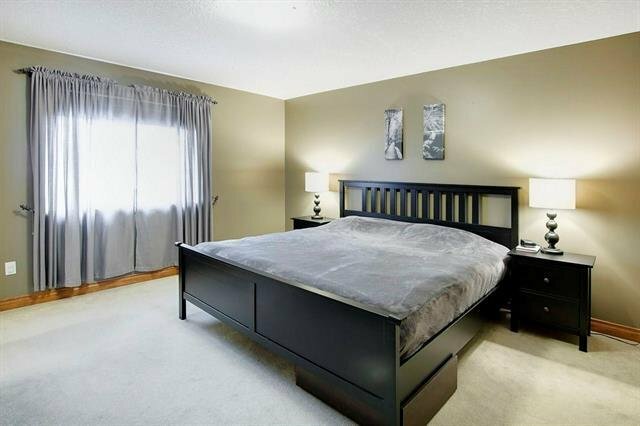 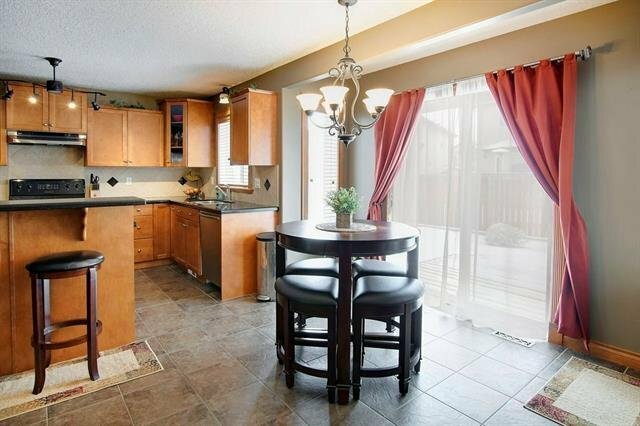 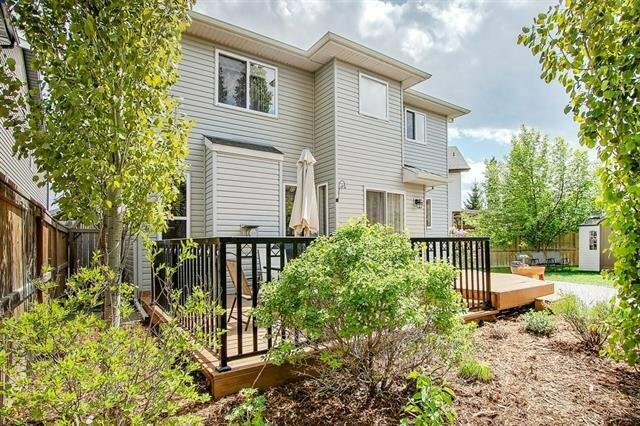 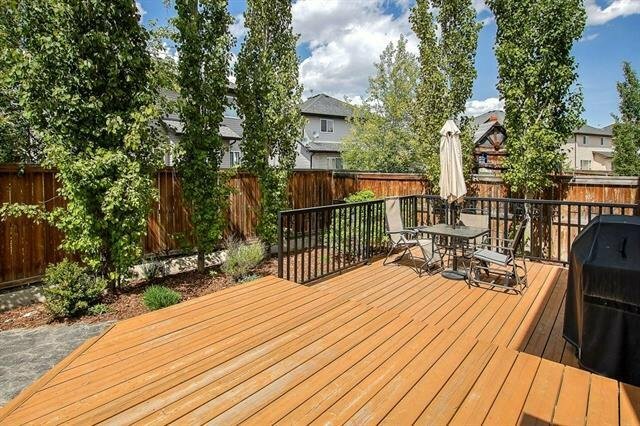 The huge back yard is fully landscaped with mature trees, stamped concrete patio and deck. 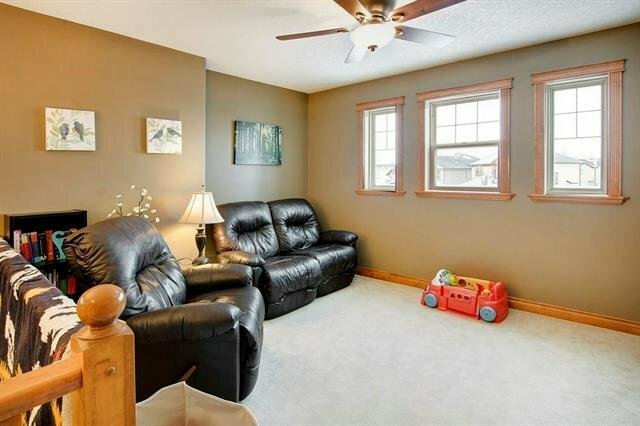 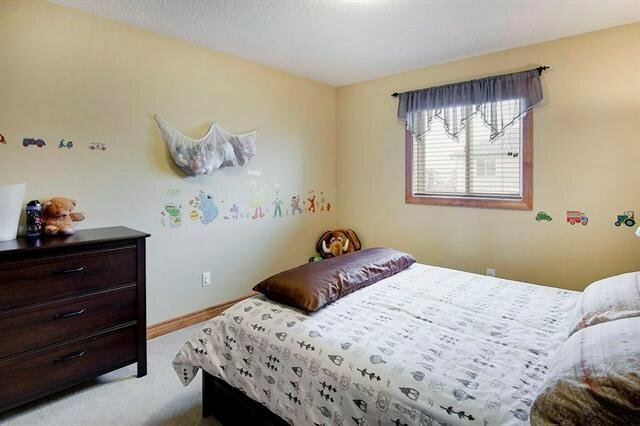 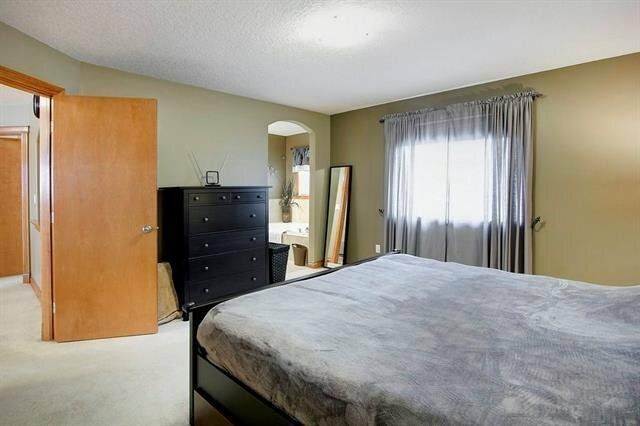 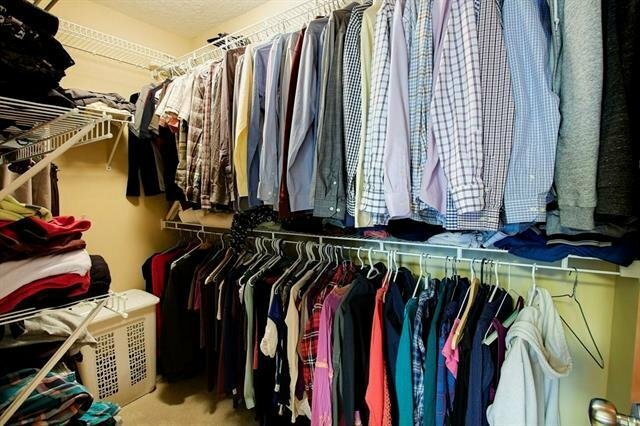 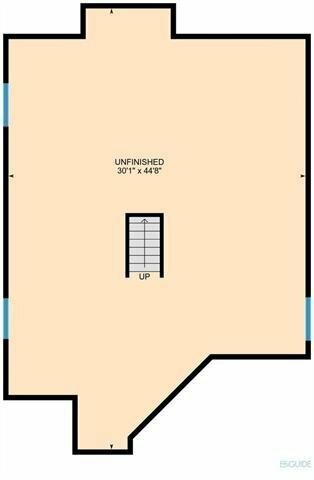 The basement has rough-in and is ready for your imagination.